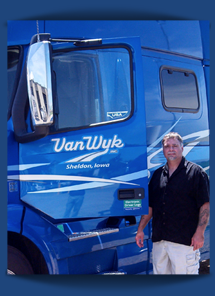 Like to know more about all the advantages of working with Van Wyk? Call us today and talk to one of our friendly recruiters, or click Apply Now to get your application started. "I went looking for a company who cares about my success as much as their own. What I found was an honest, professional, respectful team, who value me for the professional I am. I feel I have a home and a future doing what I love without sacrificing my values or family life."